When restless and neglected Isobel is invited to an idyllic Tuscan retreat owned by the suave and streetwise Jay, she imagines a life of excitement outside her stagnant marriage. Despite fear and guilt, she abandons herself in a passionate love affair, but is soon trapped in a web of feminine manipulation, business intrigue, and ruthless ambition, while controlling Jay encourages conservative Isobel to push beyond her sexual boundaries. But all is not as it seems in the hilltop paradise and as her lover battles for survival, she finds herself a player in a dangerous love triangle. Unable to know who she can trust, she must fight to control both her own cravings and to save what little of herself is left. As her life falls apart, she is torn between the consequences of infidelity, her love for Jay, and fear that he will be her nemesis. For both Isobel and Jay, the excesses and confusions of an uncertain and largely amoral age are about to be brought home to roost, right in the heart of their lives. 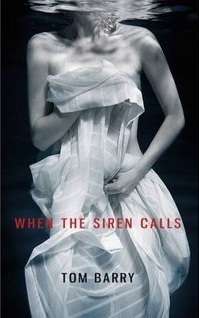 Witty and smattered with the best sort of irony, with twists and turns that keep you guessing, When the Siren Calls is a sensual and moving emotional drama that titillates the senses while racing along like a Grisham thriller. The novel will appeal to adult readers of romantic suspense and to fans of Fifty Shades of Grey. 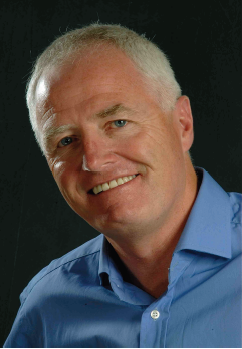 A published writer at University, Tom Barry spent 20 years in management consultancy with Accenture, Deloitte, and PwC, advising the Boards of leading global brands such as Apple, Disney, Toyota and Vodafone. His career prompted a specific interest in the art of persuasive communication. He is passionate about nurturing young talent and has supported a number of UK and overseas schools, including the Nordoff Robbins Centre for Music Therapy. He lives near London and is currently working with the Brit Writers’ Awards, a charitable initiative to promote creative writing in our schools. You become a writer because you think you’ve got something to say worth listening to. 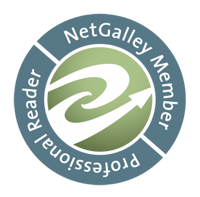 I chose to be a novelist because I want to entertain my readers, not preach to them. The challenge is to transport readers to times, places and events where they can lose themselves in stories about heroes they can identify with, who triumph against the odds and who change and grow in the process; but most of all readers want to enjoy the ride. Back in my consulting days, it was a great buzz to work for household name companies and to meet industry icons like Bill Gates. Not many careers offer that opportunity to you when you are in your twenties and thirties. But like your first born, few things beat the thrill of holding your debut novel in your hand. 1. One of eight kids, my life story is the classic immigrant tale of seeking to live up to parental expectations, while working to mark out your own trail. 2. I have aspects of an obsessive personality, establishing a worklife balance was a major challenge. 3. I gave up on my business career in my mid-forties, I just didn’t tell my boss! Find something you enjoy doing, and you’ll never work another day. 4. I tell my kids education is the best gift I can give them, it’s no weight to carry and no one can take it off you. 5. I almost bought Northampton Town Football Club (my birth town) in 2001.